Last year, in an interview with CiberCuba, Cuban economist Elías Amor predicted that the months of January and February of this year would be especially difficult. And so it has been. This news portal talks again with the president of the Cuban Observatory of Human Rights about the current situation of the Cuban economy and his predictions are chilling. He believes that the blackouts will return because Russia will not replace Venezuela in supplying oil at low cost. In his opinion, the situation will not be the same as that of the Special Period of the 90s, but remember that "it rains on wet". We will have a 2019 "quite complicated" and this could trigger social outbursts, he says. CyberCuba: Is Cuba in a new Special Period? We can not compare the current economic scenario and the one that will come in the coming months, with the so-called "special period" because the magnitude of the impact of Soviet subsidies reached almost 40% of the GDP of the Cuban economy and its loss it dealt a heavy blow to the system as a whole, and now the situation is very different because it is only Venezuela's oil that is obtained at cheaper prices. What happens is that "it rains on wet", and the reforms implemented after the sixth Congress, the so-called Guidelines, have not given the expected results on the economy. The fault lies with the political ideology, the communist one, which continues to prioritize the economic decisions that have to be made, because there is no alternative. While there is no clear alternative to communist hegemony, the economy can not go well. He believes that Russia will be able to supply the oil Cuba needs now that Venezuela can not. Should Cubans prepare for the blackouts? The world oil market is not in a position to play gifts and gratuities as Venezuela did with Cuba for ideological reasons since the time of Chávez. Several reasons explain it. Each time less oil is consumed per unit of product in the world economy, and demand tends to be in a trend below an oil supply that seeks to maximize profits in the horizon that lies ahead. These imbalances in oil supply and demand globally are going to increase in the coming years. The buying and selling commitments of the countries are very tight, because the development of China or India will condition the dynamics of the market. No world oil producer, not even Russia, is in a position to offer Cuba oil at low cost. The regime will have to pay it at market price and we'll see what it does with it. When money does not reach, it is likely that the blackouts return to the daily reality of Cubans unless people protest and demand answers. 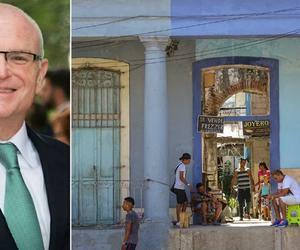 The Cuban Government has set itself the goal of exporting and collecting. Is this the solution? Exporting is one of the strategies to promote economic growth. But in the Cuban economy this is complicated because most companies, especially state-owned companies, are very uncompetitive and produce for the domestic market, with levels of quality and design unacceptable worldwide and also in very short series. The reason is that these companies lack incentives to do better. The companies that export and relate to the external sector, such as those belonging to the army conglomerate and State Security, do not transfer the effect of their operations to the economy because they recycle the foreign currency obtained for the benefit of the State. The issue of collection is even worse because many operations are not properly supported and the revenues are used to compensate debts. To export, you must first have efficient and competitive companies in all sectors capable of producing enough for the national market. And that, nor in sugar is currently achieved. What changes should the Cuban economy experience to get out of the recession? I have pointed out several times: what the leaders have to do is normalize the economic system and adapt it to what works in the rest of the world. There is nothing extravagant about it. Recognize the mistake of Fidel Castro's generation and assume that times demand new challenges. For this, a stable legal system of respect for property rights must be built for all Cubans, free private enterprise as the axis of the economy and market as an institutional instrument for allocating resources. Parallel to these actions, we must undertake through privatizations supervised by international organizations a reduction of the weight of the State in the economy to just over 30% of the total assets (not 90% as currently) as in the rest of countries of the world. The communist central planning must be eliminated and replaced by an indicative and democratic planning of the economy and promoting an extension of economic freedom, maintaining the State's functions of regulation, distribution and allocation of resources. Do you think that the measures adopted by the United States to prevent the money of the Americans from going to Cuban companies managed by the military are having immediate effects on the Cuban economy? There is little time elapsed for this type of measure to be evaluated. Capital flows freely internationally, and that's good, because that's how they get the most profitability for savers. Apart from this, the main flow of US capital. Cuba has a humanitarian character and is made up of the remittances that children or parents send to families in Cuba. More than 3,000 million dollars a year arrive in this way, including the goods that enter the country in the suitcases full of airplanes. This flow of capital, which can not be interrupted, is sustaining the economic system in Cuba and has very important repercussions on society in terms of inequality and opportunities. What impact would open the door definitively to the people and companies expropriated by the Government of Fidel Castro can claim their property in the courts of the United States? I have also pointed out on several occasions that without returns of the property to the legitimate owners that are those that appear in the records before the confiscations that began in 1959 and ended in 1968, the Cuban economy can not reestablish its system or move towards the future with solid bases. Other former communist countries have undertaken similar processes of confiscated and expropriated returns of rights, and have managed to straighten their economies. Similarly, I do not see the former owners recovering their demolished and dilapidated homes, where Cuban families are currently crowded. Many companies of the past have been abandoned. No one is going to be expelled from their homes, there are much more efficient compensation mechanisms that the Castro state must assume if it wants to recover its dignity and responsibility. In addition, I am confident that I could count on international financial assistance to put the counter to zero and restore the system of property rights existing before 1959. The Government of Cuba announced for this year the greatest decentralization ever lived by the Cuban economy. What impacts do you think it will have? For now, we will have to wait. They have been promising decentralization since 2006, but they have not just arrived. Many managers of Cuban companies do not make decisions because they wait for the authorization of their superiors in the ministries and corporations, or they do not risk losing their jobs because they are too bold, fearing punishment. Communist orthodoxy obliges them to be obedient to the higher orders. It does not occur to anyone in their right mind that a second or third secretary of the Communist Party at the local level has anything to say in relation to the functioning of an economy. In Cuba, it seems that yes, and this supposes that the single party concentrates all the political and economic power. They will not decentralize anything, as long as the Communist Party remains a monopoly. And we already know that they have approved it in the new Constitution. Do you think it is viable to undertake the unification of the currency as is the Cuban economy? The issue of monetary unification, as I anticipated some time ago, is standing still and there are no plans to solve a situation that causes special damage to companies. For example, double counting in total currency is a nonsense that makes foreign investors tremble when they try to analyze the balance sheets of companies. Cubans have become accustomed to the unnatural thing that is to operate with two currencies in their country, I believe that it is the only one that does it worldwide. And the government, thanks to this subterfuge, collects foreign exchange, which is also good for it. They will continue with this burden, because in addition, the Cuban economy will enter a very complicated period in 2019. Last year Cuba met the export objectives of lobster, shrimp or rum. Neither harvest nor tourism pulled the economy. What perspectives do we have this year? Following my analysis, the Cuban economy in 2019 will have one of the worst years since 2016, when it went into recession. There will be three years of stagnation that have caused the emergence of structural problems that weigh on the economy, such as the public deficit, over 12% of GDP and the trade deficit of goods, increasingly complicated to close with tourism revenues or the sale of doctors and professionals. External indebtedness is increasing and this prevents obtaining favorable financing conditions in international markets. The engines have stopped abruptly: tourism struggles to reach the level of 5 million without success, foreign investments have slowed their growth due to obstacles and bureaucratic difficulties and remittances remain but they are not enough to sustain the whole of an economy in which no sector, except telecommunications, registers growth in its activity levels. The demographic trends with the aging of the population and the low level of technology mean that growth in the medium and long term is getting smaller. It is time to turn the wheel 180 degrees because the Cuban economy is on its way to a difficult situation to bear, which may end up causing social outbursts.